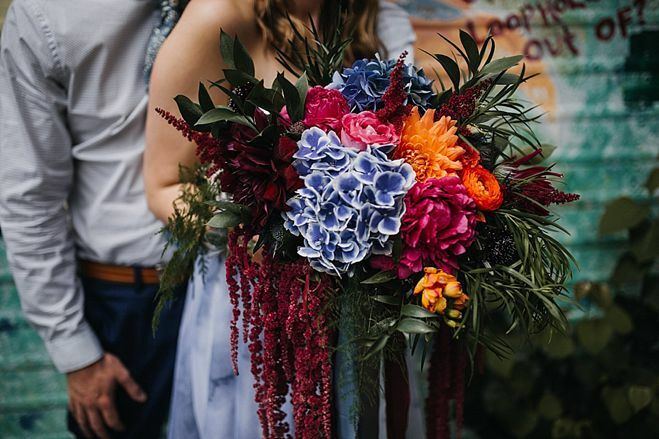 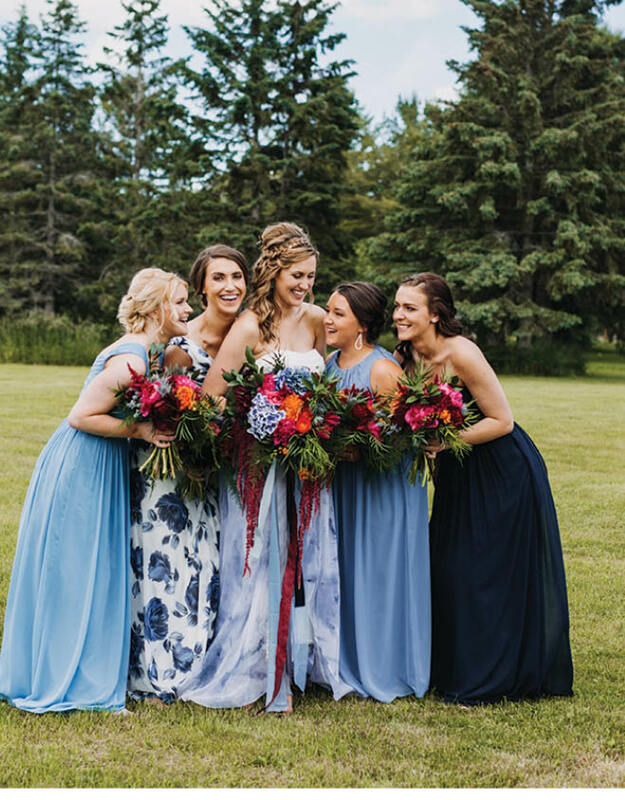 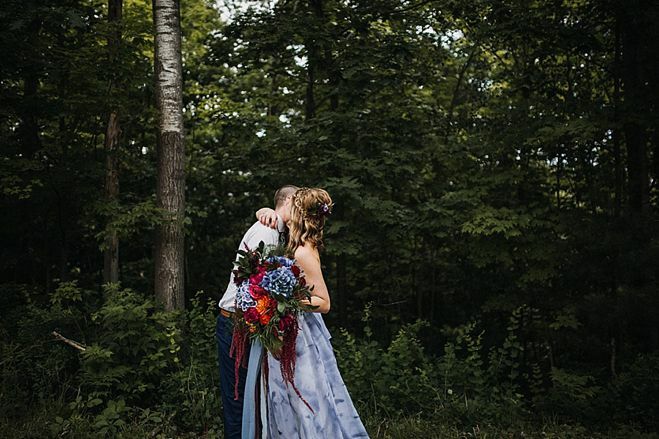 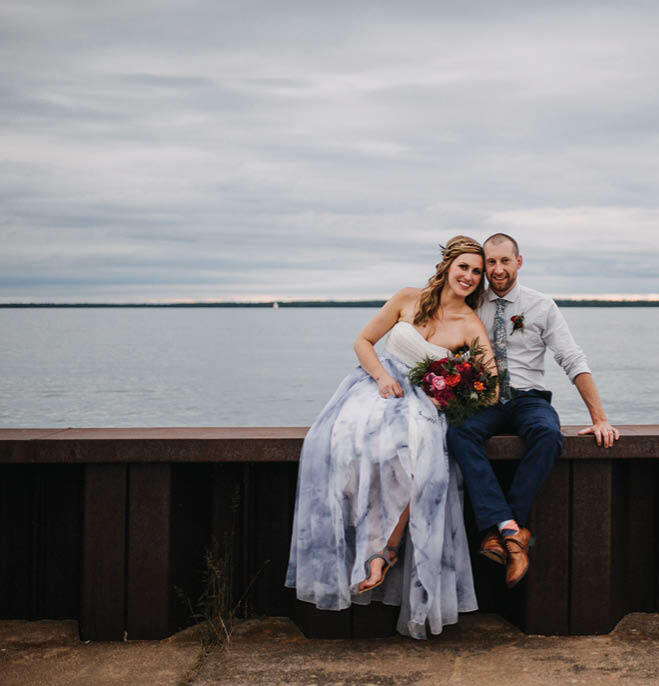 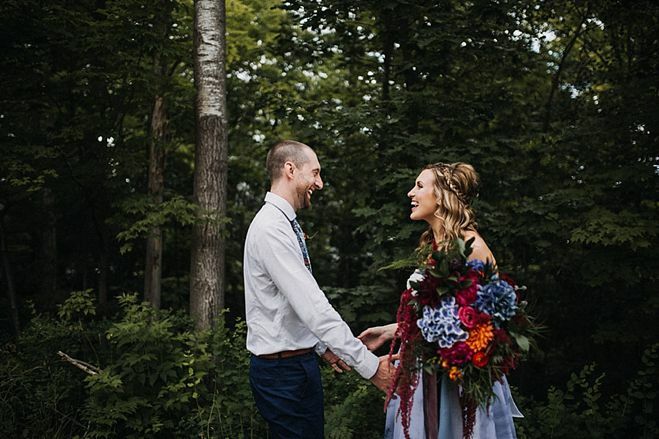 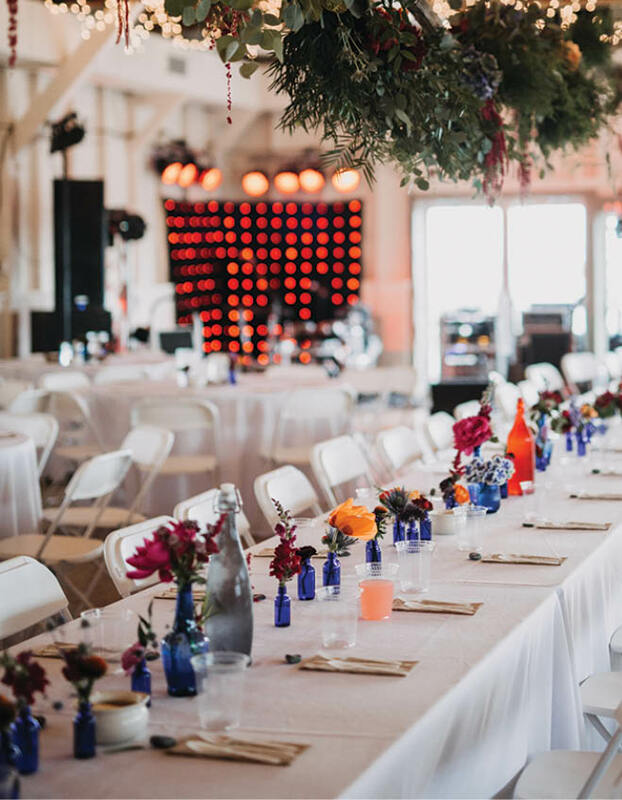 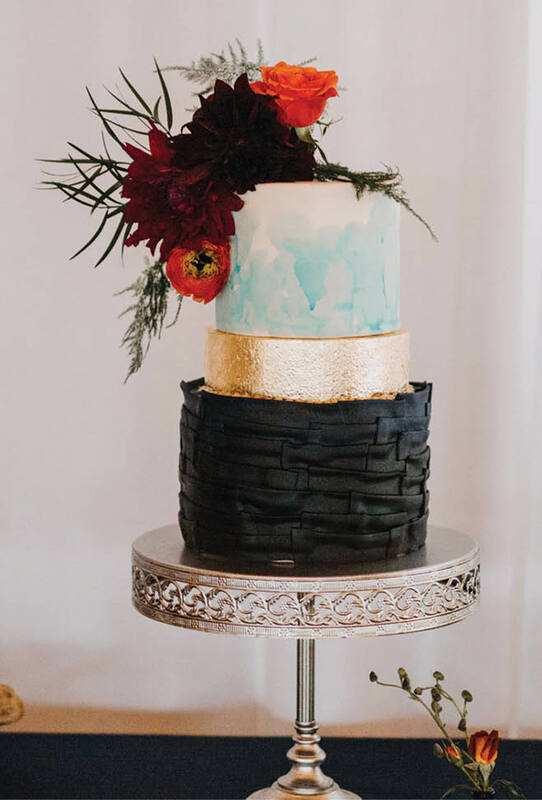 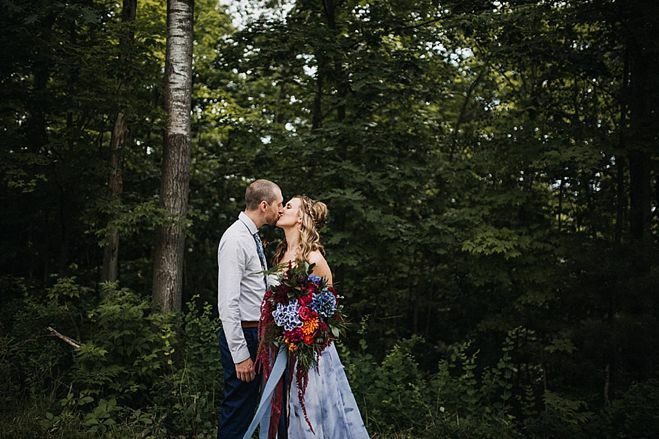 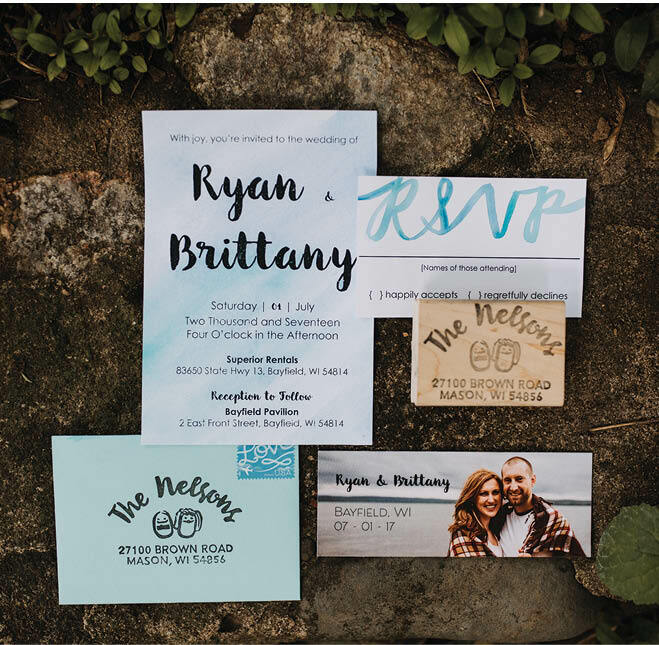 From driftwood décor to a hand-painted watercolor skirt, the inspiration for Brittany Sneed and Ryan Nelson’s wedding was grounded in their shared love for the Great Lakes, especially Lake Superior. 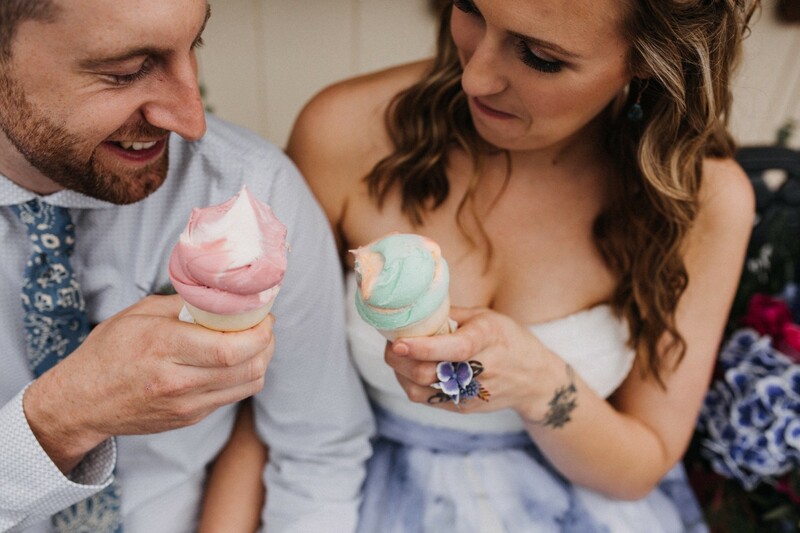 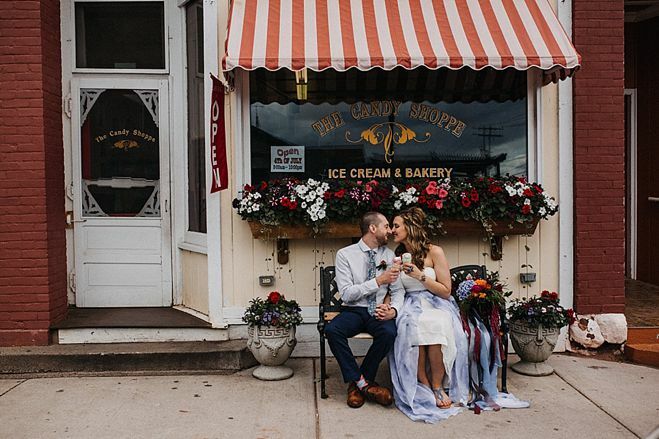 After the bride’s crew got ready for the day at the Rittenhouse Cottage in Bayfield, Brittany and Ryan had their first look, stopping for ice cream at the Candy Shoppe before meeting the wedding party for a ferry to cruise to Madeline Island. 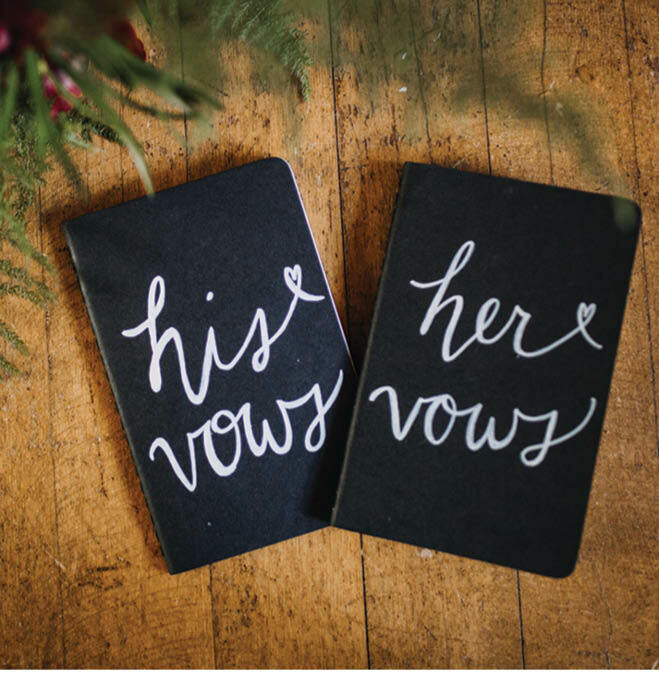 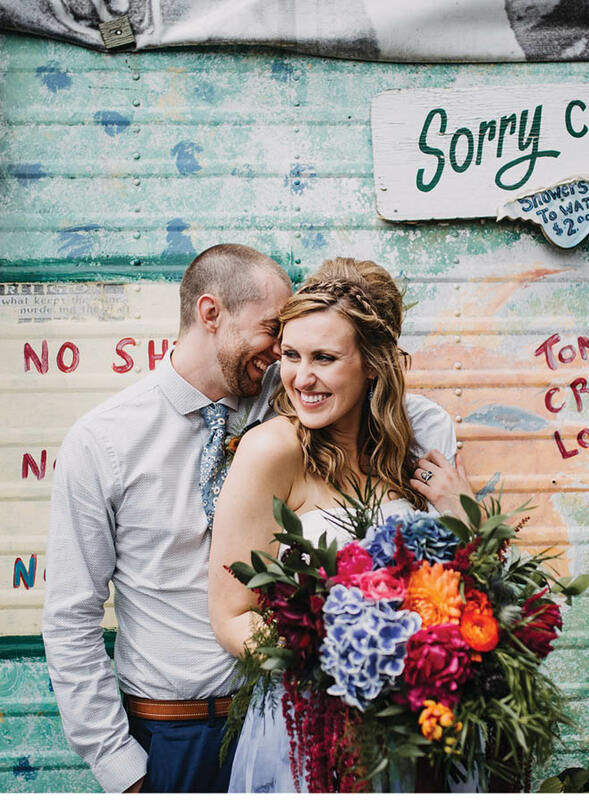 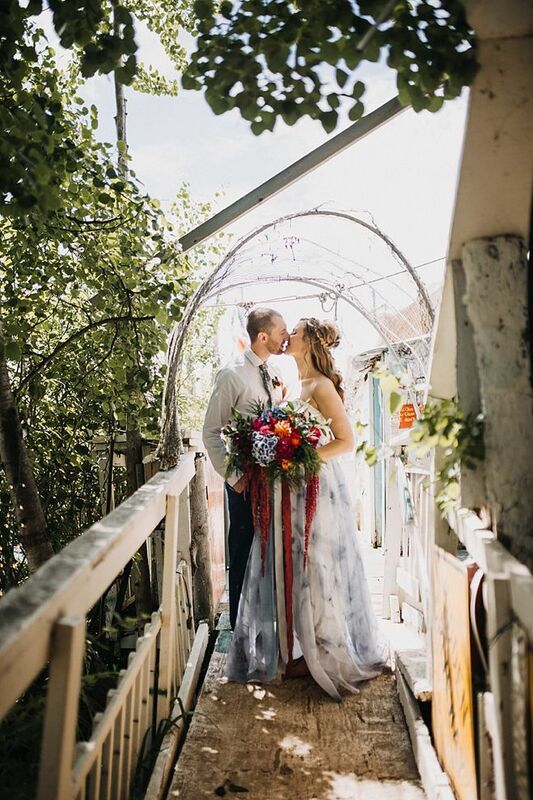 There, they spent time enjoying pizza and drinks with their wedding party at Tom’s Burned Down Café, a “cool, hippie kind of place,” says Brittany, that speaks to the couple’s laid-back nature. 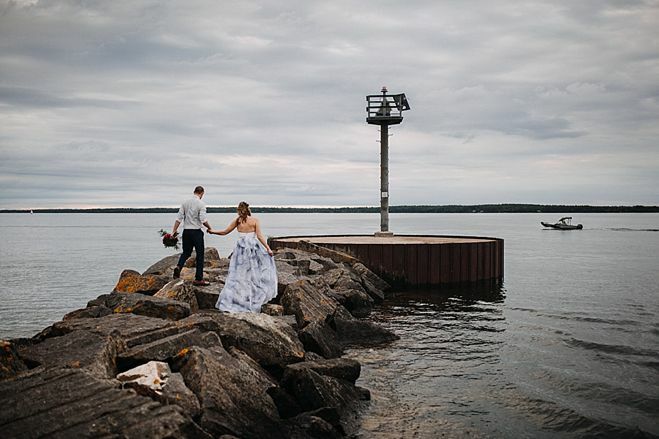 Then the party returned to the mainland, where Brittany and Ryan wed in a private beachfront ceremony. 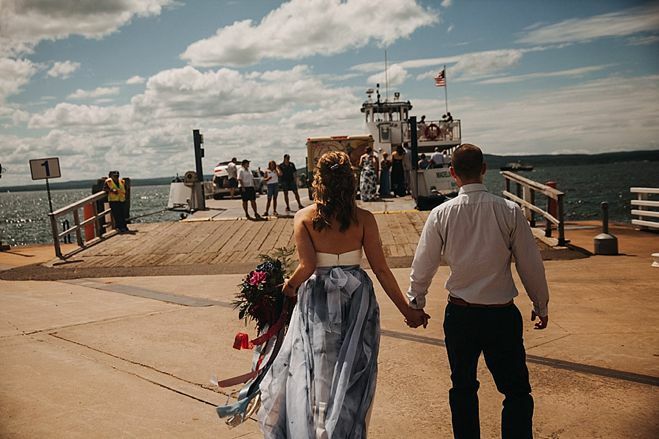 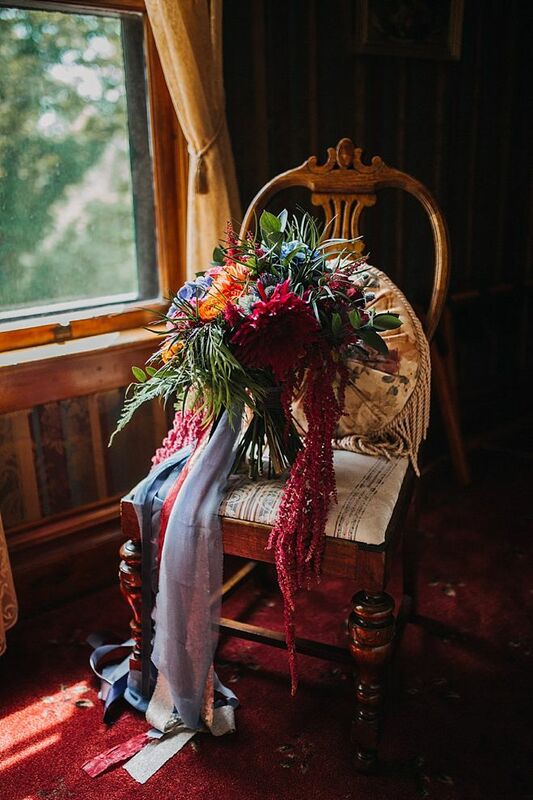 As they looked out over Lake Superior, the two exchanged personalized vows, a grand gesture for a couple that Brittany says isn’t “traditionally romantic.” From the lakeside nuptials, guests headed to the reception, where they were wowed by florals in hues of red, orange and blue. 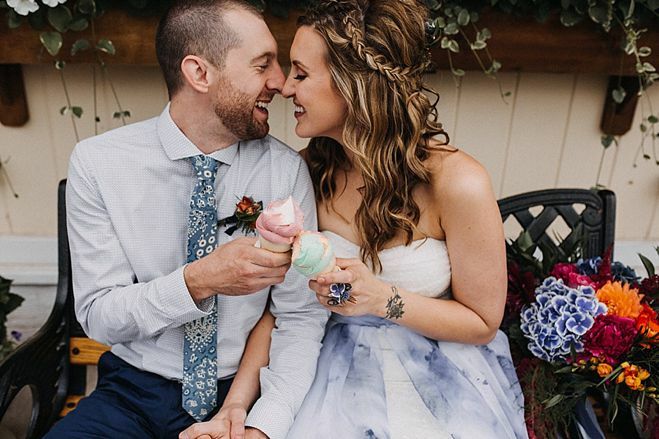 After a home-cooked family-style dinner with favorites like mac and cheese and corn on the cob, Brittany and Ryan presented guests with another of their local favorites, wine bread, for dessert. 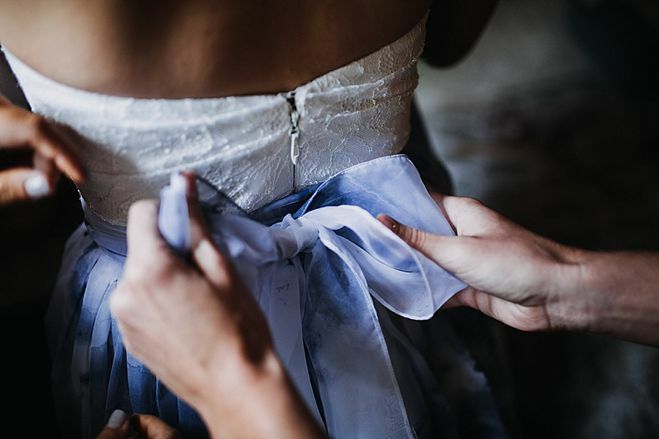 With hearts and bellies full, the couple took to the dance floor, where Brittany gave up her long, custom-made overskirt to dance the night away with her new husband.